Mix brown sugar, mustard, and Coca-Cola. Line a deep roaster with foil and put in your ham. 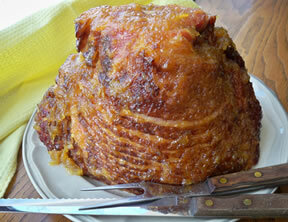 Coat ham with brown sugar sauce. Decorate with pineapple slices secured with toothpicks. 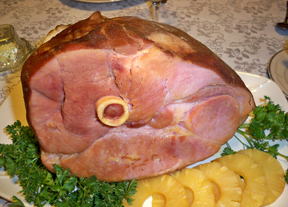 Wrap ham in foil and bake at 350 degrees for 25-30 minutes per pound. "Easy and scrumptious! I thought it seemed like a lot of glaze to put on but I used it all and the ham turned out great. 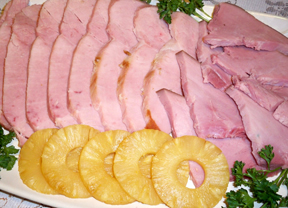 I served the pineapple slices with the ham too and everyone loved the combination."